For those beautiful and hot summer days, these light and elegant sandals will accompany and keep you comfortable wherever you are. 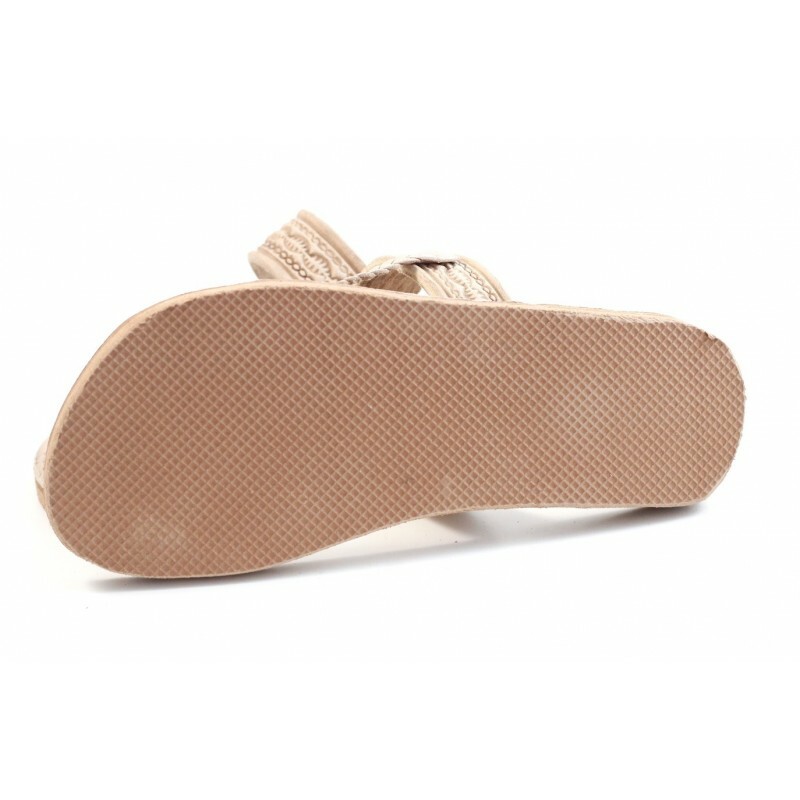 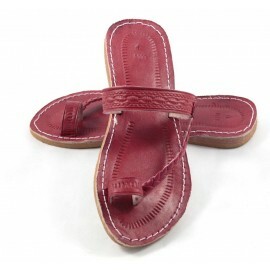 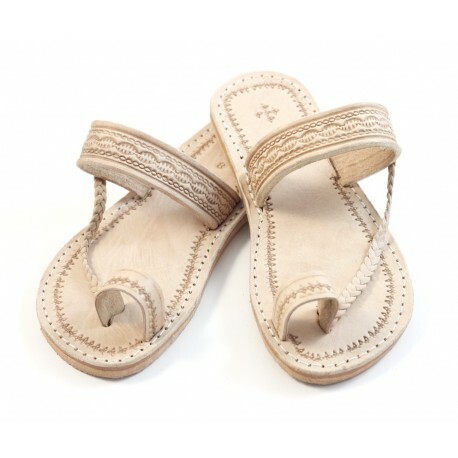 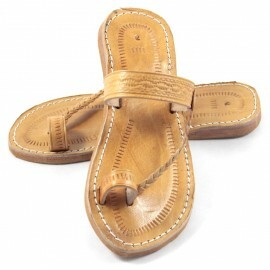 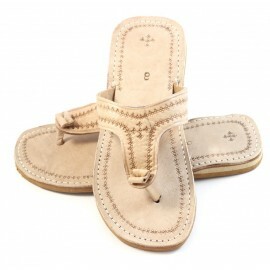 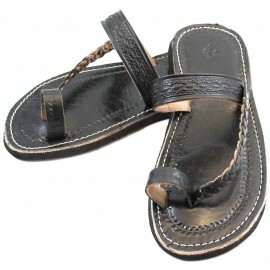 Handcrafted by skilled craftsmen in the red city of Marrakesh, these flip-flops are made entirely of leather. 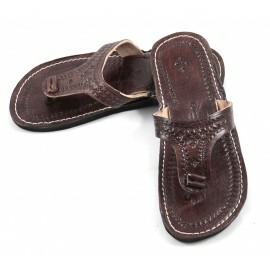 They feature a finely-etched wide leather strip, a diagonally-braided leather strap and finally an exquisitely carved leather loop for the big toe. 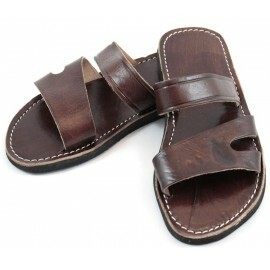 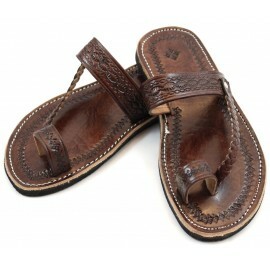 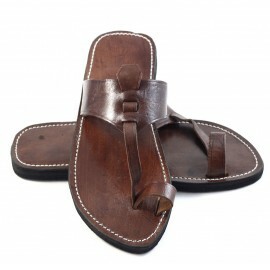 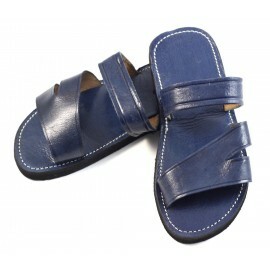 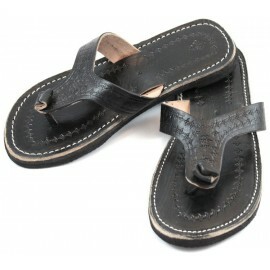 Sewn sandals made entirely of leather. 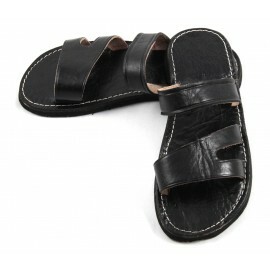 Outer sole: Resistant black gum.